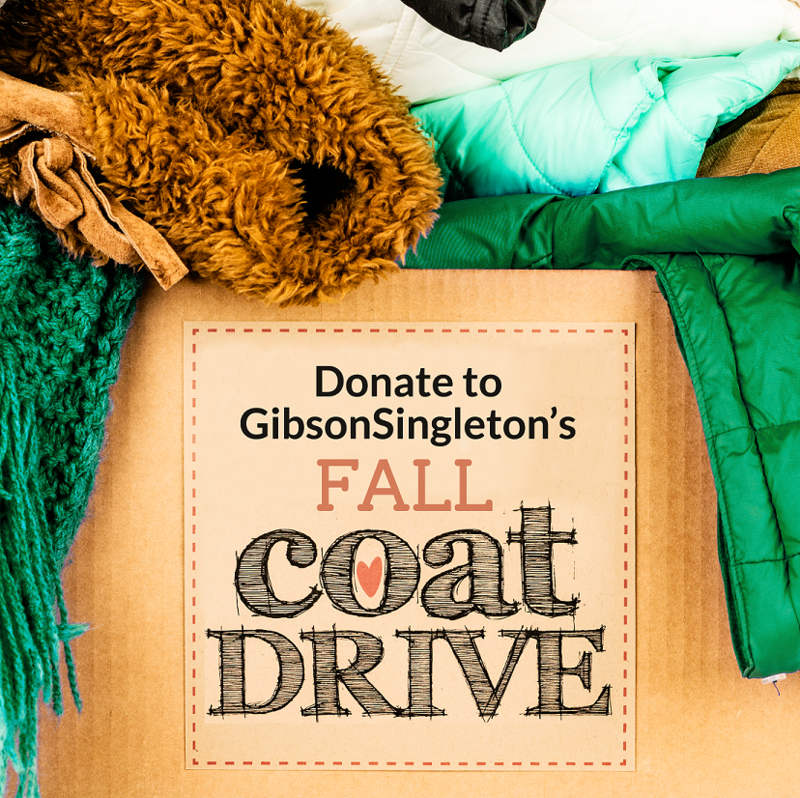 blog home Community Outreach It’s time to give through our fourth annual Fall Coat Drive! It’s time to give through our fourth annual Fall Coat Drive! Our fourth annual Fall Coat Drive has started, and will last through December 21, 2018. We invite you to drop off new or used coats from 8:30 a.m. to 5 p.m., Monday through Friday, at our office: 4073 George Washington Memorial Highway, Hayes. We are again working with the Salvation Army in Gloucester, the Gloucester United for Emergency Shelter Team (GUEST), the Hampton Veterans Administration Medical Center, and other local organizations to distribute the coats to people in need in our community. Everyone who donates a coat will receive a free ice scraper or Christmas ornament. You can also register for drawings to win a road safety kit and other prizes. Drawings will be held throughout the drive. Groups are encouraged to contribute as well. 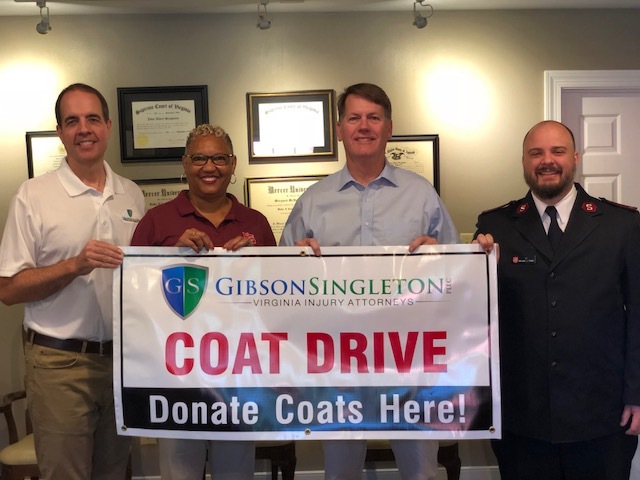 For the fourth year, GibsonSingleton Virginia Injury Attorneys partner Ken Gibson is working with Salvation Army case worker Sandra Thornton, law partner John Singleton, and Salvation Army Lt. Michael J. Fadler to get warm coats to people in need in our area. If you have any questions, please contact me, Beth Gibson, GibsonSingleton Virginia Injury Attorneys community outreach director, at [email protected] or (804) 413-6777.